The latest progress in big data analysis has enabled the remarkable development of a group of internet startups which can dramatically change the energy efficiency sector. This group mainly consists of web-based platforms that can track and analyse energy consumption data in real-time. These platforms give the possibility to quantify the results of the implementation of energy efficient technologies. The ability to model and evaluate various implementation scenarios makes energy efficiency projects more attractive to investors. Paris-based technology specialist Denis Kuznetsov takes a look at some of the most promising startups and explains how they can help transform the way people use energy. Over the past decade we have seen young internet companies radically change our lives: the ways we buy, travel and communicate were completely modified. Business applications and professional software are dramatically changing the environment both of small companies and large corporations. However, the concentration of internet startups in different spheres is not equal. For various reasons, some spheres attract a large number of new companies, while others develop more slowly. Until recently, IT startups in the energy sector have been acting mostly in the smart grid industry or in specific applications to optimize or automate different technological processes.The main reason for this is the orientation of the energy sector towards physical technologies. Generally, young companies focus on the development of new equipment, or the improvement of existing technologies and processes. As a result, the number of IT startups developing new business models in the energy market is hundreds of times lower than in ​​financial services, for example. But today we can see the first changes brought about by information technologies in energy efficiency. Created in the mid-2000s, the first startups in data processing and real-time analysis of energy consumption can dramatically change the entire energy efficiency sector. Most of these startups have developed web-based platforms that track and analyze energy consumption data coming from utilities and their customers (owners of commercial real estate, industrial businesses, and individuals). Then, depending on business model, companies provide to different customers various services for energy cost reduction. First Fuel has developed an internet platform that enables utilities to make on-line energy audits of commercial buildings. 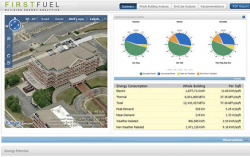 The utility provides energy usage data as well as the building’s address. First Fuel uses satellite imagery to determine location, surface and architecture of the building. The software generates a detailed 3D map of the building to understand its typical installations. Combining this information with the local climate data, the platform makes deep analytics of the whole building’s energy consumption across different categories such as cooling, electric heating, lighting, pumps, and plug usage. 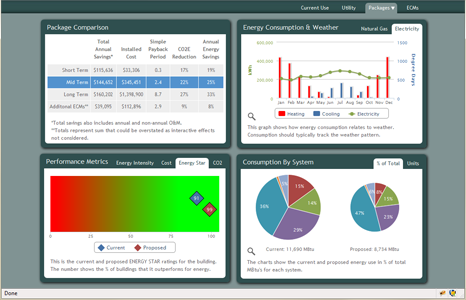 Based on this analysis, the software gives the practical efficiency recommendations that can lead to energy savings. Retroficiency’s Software-as-a-Service (Saas) platform enables energy service providers and utilities to analyze the efficiency of commercial office buildings and determine the most cost-effective repairs and retrofits. The platform examines data and characteristics of the building in question, such as general power loads, utility bills, square footage, age of construction, use and occupancy, weather, climate, number of pumps, boilers, air conditioners, data received from different types of sensors installed in the building, etc. Retroficiency has created a database that contains more than 2000 specifications of various building structures, which allows comparing potential retrofit of the target building with the same buildings situated in the similar conditions. The platform replaces the massive amount of manual measurements and time consuming work that energy services companies, building owners and property managers usually make during energy audits. The system can evaluate thousands of energy efficiency measures in minutes. The major customers of this service are building owners who want to reduce energy costs and energy service companies that provide different energy efficient technologies. In two years Retroficiency has identified more than 1.5 billion kilowatt hours of annual energy savings across 350 million square feet. Hara has developed a cloud-based software platform for energy management which helps companies to dramatically reduce energy costs and risks, improve operating profits and estimate return on investment in energy efficiency technologies. The software automatically tracks energy consumption data at the enterprise-level, analyses it and makes decisions about what method of energy efficiency could be profitable in this particular case. 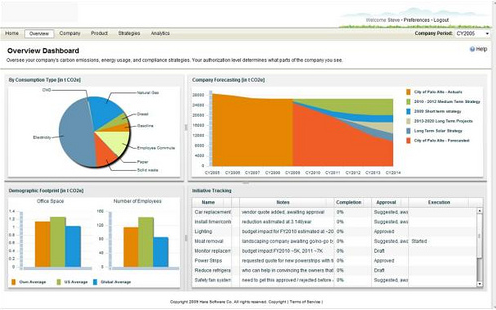 The three basic modules of the software are ‘Insight’, which reports enterprise-level energy performance and analyzes energy investment broadly in terms of a percentage of the organization’s operating profit; “Modeling, Forecasting and Budgeting”, which allows organizations to model best and worst-case enterprise-level energy cost scenarios, based on a range of internal and use and pricing variables ; and “Efficiency Planning and Optimization” which supports top-down target setting for energy efficiency and cost saving objectives, enforcement of ROI (return on invedstment) calculation disciplines, and advanced project portfolio analysis. The main customers that benefit from Hara’s platform are large energy users: e.g. oil and gas companies, or companies with large-scale supply chains like Dell or Walmart. Verdiem has developed software called Surveyor, which increases business profitability and sustainability by monitoring, measuring and managing IT energy use and related greenhouse gas emissions. Verdiem helps large organizations to reduce operating costs of the use of IT devices such as personal computers, printers and IP-telephones. More than 700 corporations, government agencies and educational institutions have deployed Verdiem on over 2.5 million devices. Most customers experience payback within 6 to 12 months. Opower is the world’s leading provider of customer engagement solutions for the utility industry. Opower has developed an engagement platform that enables utilities to involve their customers in energy efficiency programs. Opower’s business model is based on behavioral science. In the early 2000s psychologist Robert Cialdini conducted research to understand what motivates people to reduce their energy consumption. He found that neither money saved nor environmental protection nor the desire to be a good citizen motivates people to save energy. Instead, he found that people begin to reduce energy consumption when they see their neighbours start doing it. 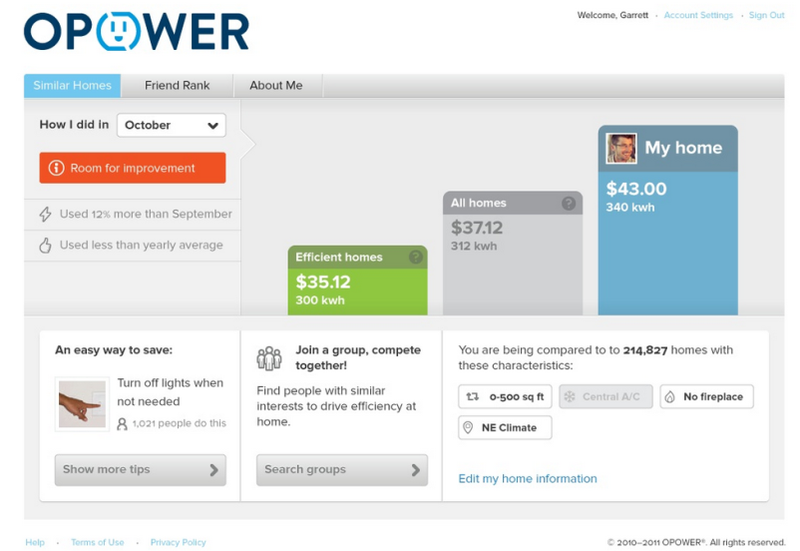 Opower’s software analyzes energy data provided by utilities, third parties and consumers. It provides customers with a detailed colorful report that shows how they are doing with their energy usage compared to similar homes. Analyzing consumption data, Opower helps consumers (through the utilities Opower works for) to make smarter decisions about their energy use and suggests how they can save energy and money. From 2007 to 2013 Opower helped to reduce energy consumption by 1 million MWh. In the company covered over 15 million homes. Opower’s main customers are utilities which hire the company to help them analyze data and produce reports for their customers. Why should utilities pay somebody who helps them sell less energy to their customers? Opower’s Senior Vice-President Nandini Basuthakur explains that: “Efficient customers are more engaged customers. They are less likely to go to a different utility. 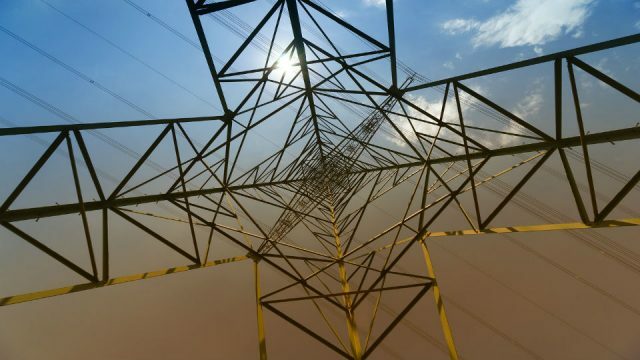 And more likely to buy more products from their existing supplier.” Besides, more and more countries push their utilities to be more energy efficient. 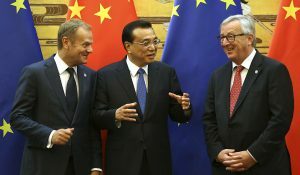 For example, the EU has recently adopted the Energy Efficiency Directive which, among other things puts a 1.5% annual energy savings obligation on energy suppliers. 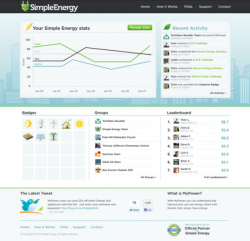 Simple Energy uses social media to change how people use energy and how utilities engage customers. The company engages people in energy savings by means of platforms they already use, including email, Facebook, web and mobile applications. 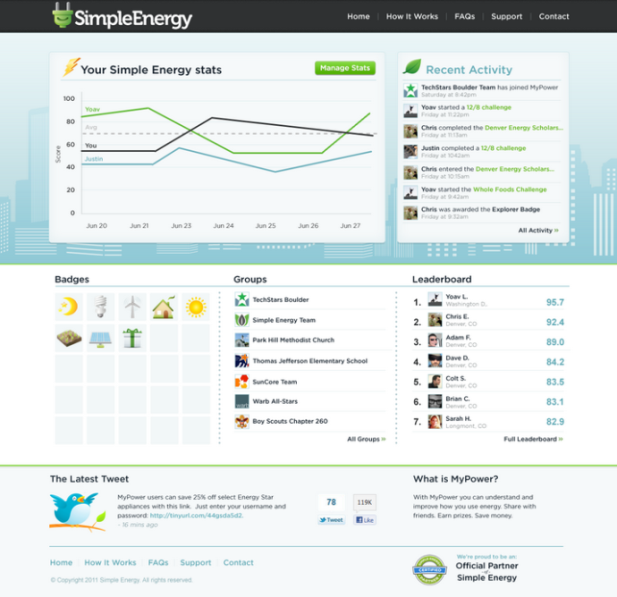 Simple Energy transforms energy use data into a scoring system that allows people to compete with their friends and neighbors online. 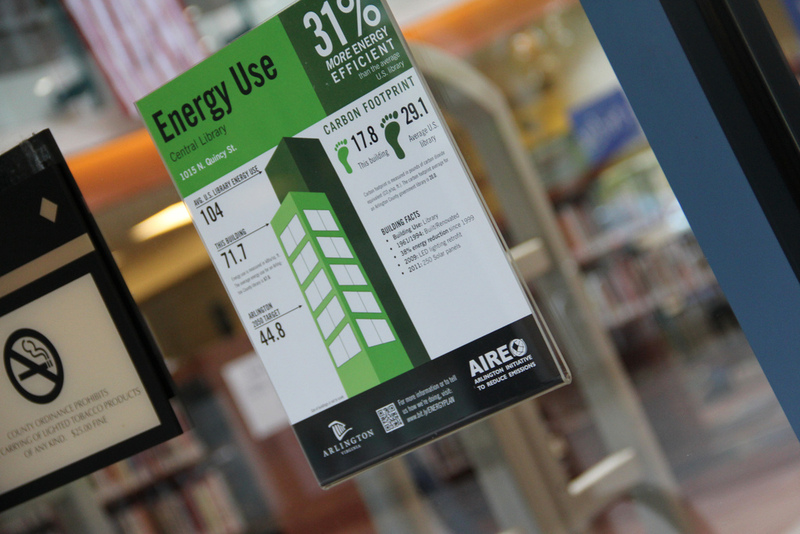 It encourages people to become interested in their own energy use and take action to reduce consumption. The company’s recent results show that the platform can produce an average energy savings of 20% with up to 50% for top performers. Ikehu’s DRIVETM System provides incentives to residential customers in order to reduce power consumption during critical peak hours. The service gives electric utilities the ability to offer airline miles as an incentive for responsible energy use. 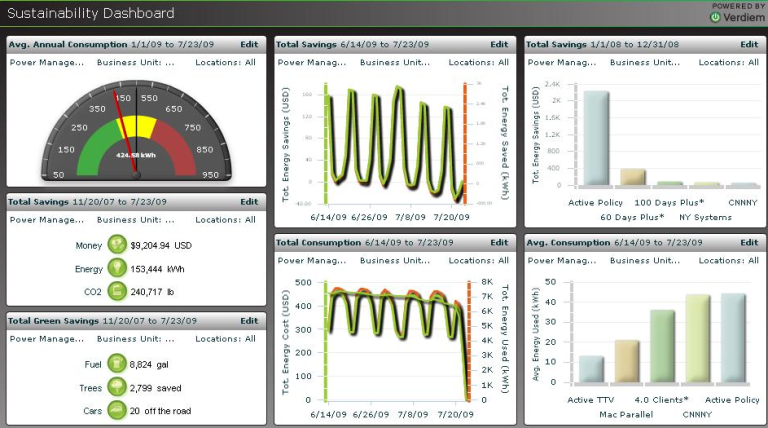 The system includes a management console that provides utilities with access to a cloud based service. This service handles all of the details related to sending incentives, provides real time status of accepted offers and validates miles earned. The examples mentioned above are some of the hottest startups, or those that use the most innovative business models. However, there are many more young promising companies on the market developing their own platforms and software, such as EcoFactor, Bidgely, PlotWatt, WegoWise, Honest Buildings, GridNavigator to mention the few. 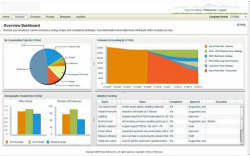 The vast majority of energy management platforms are focused on energy efficiency in the building and industry sectors. The main reason for this is that these two sectors represent over 70% of global energy consumption. It’s worth mentioning that one of the key factors in the development of energy platforms is the emergence and improvement of measuring instruments, such as smart meters, sensors, actuators, controllers and others. New types of sensors enable to measure different kinds of data, allowing platforms developers to improve and expand their systems. Fortunately, the rapid growth of energy management platforms stimulates the production of new measuring equipment. Consequently, this encourages companies to innovate and lower their prices. Traditional players on this market are large companies such as Honeywell, Johnson Controls, Schneider Electric and Siemens. The most notable startup is Nest Labs that has created a new, learning, self-programming thermostat. Nest Labs has only recently been bought by Google. How can IT startups change the energy efficiency market? Along with reducing direct costs, energy management platforms may become a link between all participants of the energy efficiency market: energy suppliers, consumers, developers of energy efficient technologies and investors. With real-time data analytics, utilities can optimize energy supply, reduce peak electricity demand and engage their customers in energy savings. Consumers are able to reduce energy costs by implementing optimal energy efficient technologies, the payback period of which can be estimated online. Technology developers can enhance existing equipment and services and create new ones corresponding to market demand. Moreover, the assessments made by energy management platforms allow developers to attract more investments for their projects. Investors in their turn get a tool which helps them more reliably assess the return on investment of new energy efficient technologies. If we look at where energy management platforms are developed, we can see that today most of the companies are concentrated in the US. The reason for this is firstly the high market demand for these services (according to Accenture, in the United States only smart buildings could save businesses $25 billion a year in energy costs); secondly a strong entrepreneurial culture in startups and the availability of venture capital financing; and thirdly the federal government’s support of energy innovation (for example, the ARPA-E program that advances high-potential, high-impact energy technologies that are too early for private-sector investment). 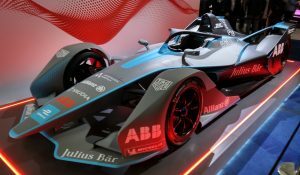 However some of the mentioned startups have started to enter European markets, where in turn we can already find a number of local startups developing energy platforms. 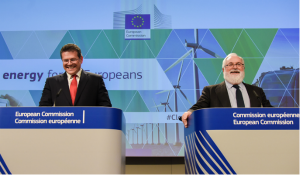 Taking into account the EU’s strict policy in energy efficiency, we can predict with confidence that energy management platforms will experience strong growth in European countries. Energy management platforms also have a big potential in developing countries, especially in India and China, where sustainable energy supply and energy security are among the main issues of the following decades. Certainly, today it is still too early to talk about the beginning of rapid growth of such platforms in developing countries. However, internet technologies have repeatedly shown their ability to spread over the world in just a few years. 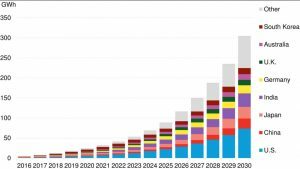 The rapid growth of Internet users in India and China, whose number in the coming years could exceed 1 billion, as well as the need of energy saving measures, can stimulate the future development of energy management platforms in the developing countries. Denis Kuznetsov works at Carbovac, a promising French cleantech company, where he pilots international projects in hydrocarbon vapor recovery. 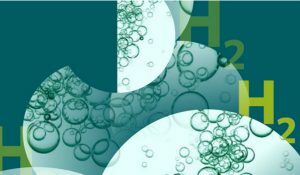 Aside from his work, Denis writes on his website InnoDigest about clean technologies, research projects and technology transfer. This article was first published on his website and is republished here with permission from the author.